PNB Rock releases "Hanging Up My Jersey" off his forthcoming debut album. PnB Rock will release his debut album GTTM: Going Thru The Motions on Friday, January 13th. He's released three tracks from the album this far: "Selfish," "Playa No More," & "New Day." Monday afternoon, he released the fourth: "Hanging Up My Jersey," which features his Atlantic teammate Ty Dolla $ign. "Hanging Up My Jersey" doubles as a self-congratulations for all the girls PnB has bedded and a PSA that he is officially (temporarily) retiring from his philanderous ways in order to stay faithful to the woman with whom he has fallen in love. His warbling delivery is fraught with emotion... our little PnB has grown up. 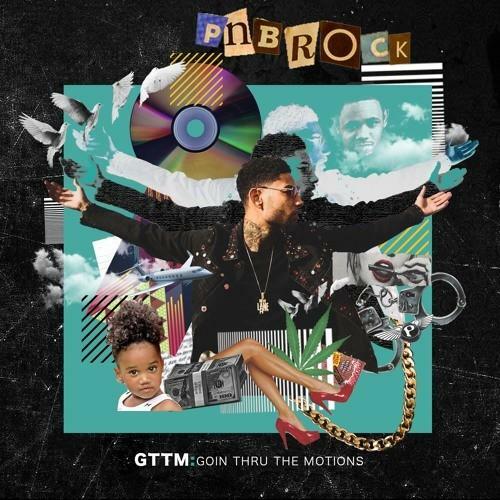 GTTM: Going Thru The Motions features appearances from Wiz Khalifa, YFN Lucci, and A Boogie With Tha Hoodie. Pre-order it on iTunes.